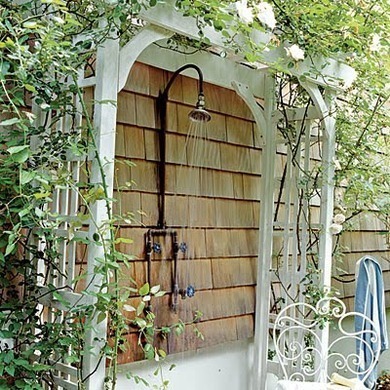 So in honor of Father's Day, and well, just in honor of the warm weather which is finally upon us, we are showcasing some of the coolest-looking outdoor showers that we've seen. 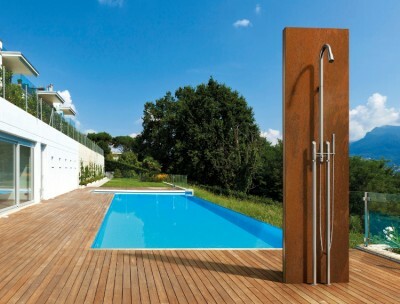 An outdoor shower needn't be overly designed or fancy. All you really need is access to plumbing, a good stainless steel showerhead (or some type of protection from extreme weather) and someplace to hang your towel and put your soap! See? Those two Bob Vila examples are so simple - yet they get the job done. 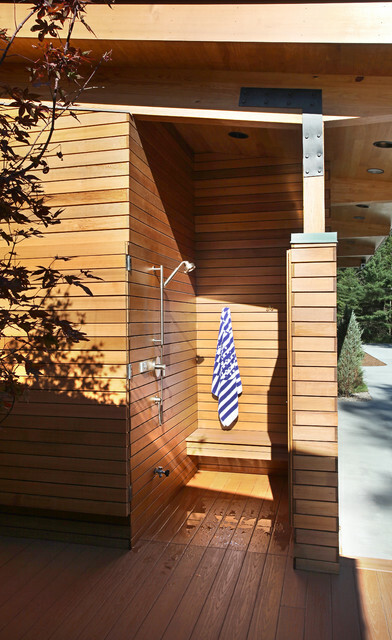 This shower is a bit more private and it has almost complete coverage while still being 'outdoors.' The best of both worlds! 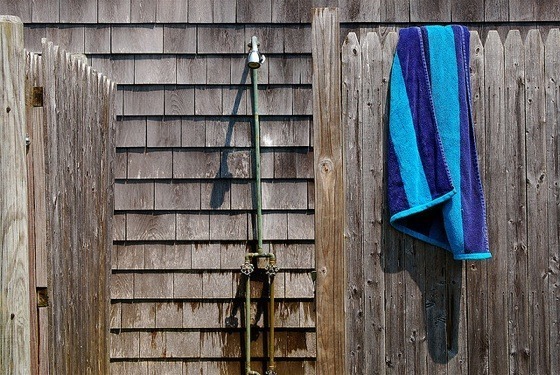 Of course if you have a pool and need to enforce the 'Please shower before entering' - this set-up gets the job done and makes it easy to jump right in. And finally, a shower set-up that takes its cue from the Swedes; one part nature and greenery, one part teak wood - add a simple shower system and Voila!